Kimberly Paige Events believes every wedding should reflect the personality of the couple saying, “I do.” Through a unique, collaborative approach we incorporate the styles of each of our clients into the details and vibe of their wedding. We walk couples step-by-step through the entire wedding planning process from the proposal to the honeymoon. The only thing left for you to worry about is having the time of your life on your way to happily ever after! Do you dream of a formal black tie affair? Wishing for barefoot beach nuptials? Are you looking to tie the knot in paradise at a destination wedding? Or is a bohemian barn ceremony more your style? No matter how you picture your wedding, our mission is to turn all of your visions into reality. Through clear communication, flawless attention to detail, and unparalleled customer service we will plan the wedding you have always envisioned. We are available to tackle the seemingly endless to-do lists and ensure your journey down the aisle is both stress free and incredibly fun! We offer full service planning, partial planning, day of coordination, design and consultation services, to provide you with a truly customized experience and a friend to walk you through the entire process! Each package can be customized to accommodate your specific needs. For package and pricing information please contact us! We will be with you every step of the way, from your engagement until your wedding day. We will help you create a budget, manage your timeline, choose the perfect venue, curate an amazing vendor team, review and negotiate contracts and design a stunning event that is a reflection of you. We will be there on your wedding day to make sure everything runs smoothly and you can enjoy every moment of your special day. Planned most of the big line items but need help tying everything together? This might be a great fit for you. We will jump on board and help tie up the loose ends, keep you on track, make vendor recommendations, come up with a beautiful and cohesive event design. We will be there on your wedding day so you can sit back and enjoy all of the hard work you've put in. Tackled everything yourselves but need someone to make sure everything goes smoothly on the day of? We will begin working together 1-2 months prior to the wedding to get up to speed with everything you've done. We will make sure your day is seamless and you can do nothing but relax and have a great time! Planning another special occasion? We'd love to help! 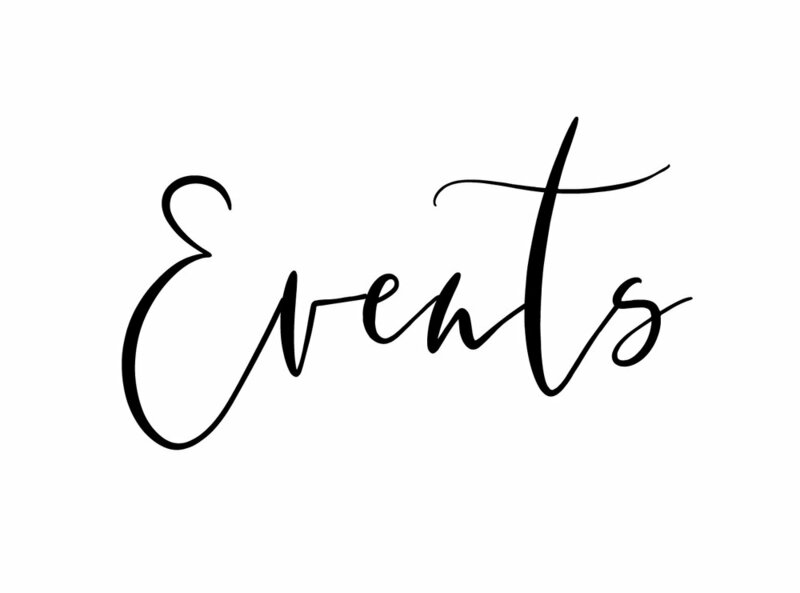 Whether you are planning a milestone birthday, a special anniversary celebration, a mitzvah, baby shower, graduation or cocktail party Kimberly Paige Events will help coordinate all the details to make your occasion truly unforgettable. Contact us today!